So you need to send a small amount of money overseas - say $200 for a birthday present, or $300 for your backpacking son’s final flight. It shouldn’t be a big deal to send a small amount, right? And it certainly shouldn’t cost you an arm and a leg in fees. If you want an example of what it might be like to send a small international money transfer, check out our case study. 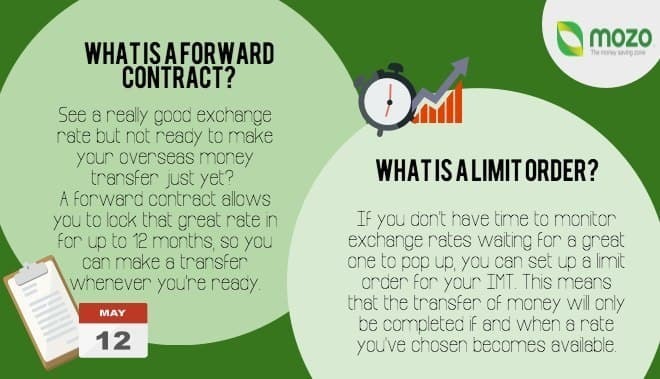 Otherwise, in this guide we’ll break down how to transfer a small amount of money internationally and get the best bang for your buck in the process. Here are some of the main features to look for when snagging an excellent deal to transfer a small amount. The difference in exchange rate here, meant an extra £25. Fees are the silent killer of the IMT world. You may not realise it, but fees can quickly add up and take a big chunk out of an overseas money transfer. Generally speaking, you’ll be hit with higher fees at a bank than with a specialist IMT provider. A 3% fee on a $380 transfer is $11.40. Compare that to the $25 flat fee some banks charge for a transfer, and you can see that you could pay around twice as much with a flat fee. Check out our guide on IMT fees for more information. 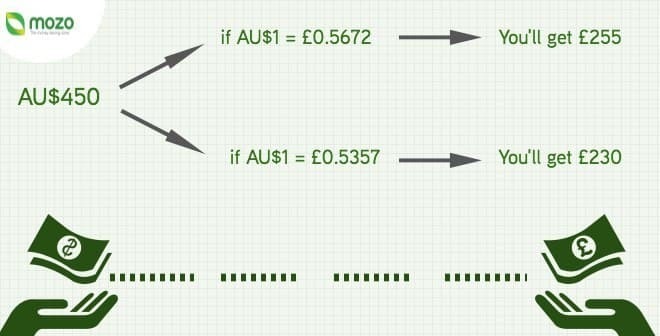 One problem you might run into when making small international money transfers, is that some providers have transfer minimums as high as $500 or even $1,000. So you’ll have to shop around for a provider that suits your needs, and either has a low minimum transfer limit (often around $200-$250) or no limit at all. IMT specialists and peer-to-peer lenders are generally more likely to have low minimums than traditional banking options, so you may need to go further afield than your local bank branch for your overseas money transfer. What are the IMT provider options for small transfers? Convenient - you probably already have an account. Many are online-based so you’ll have to be comfortable managing your transfer online. Exchange rate is not always the best Offer some of the best exchange rates. Often have higher transfer minimums ($500-$1,000.) Transfer limits differ. Some are around $200, others don’t have any. Transfers in 2-5 days. Takes 1-2 days. Exchange rate is not always the best. Offer some of the best exchange rates. What are the alternatives for small money transfers? You can head into your local bank and grab an internationally guaranteed cheque, which you can post to the recipient like normal mail. PayPal is pretty ubiquitous these days, and a handy way to make small payments overseas. It’s a good option for transfers under around $200, but once you start talking larger amounts, it starts to lose its appeal. Both sender and receiver need to have an account. So if your nonna back in Italy isn’t exactly hip to the latest tech trends, it may not be a feasible option to send her a cash birthday present. You’ll usually get a better exchange rate with an IMT, especially if you compare money transfer deals and find a really good one. So once you’ve made a decision on which provider to use to send your money overseas and navigated all the potentials pitfalls, it’s time to actually make the transfer. Here’s a brief rundown of the steps involved. To do this, there’s a quick online application process, during which you’ll need I.D, such as your driver’s licence or passport. It’s a good idea to have your account set up well in advance of your transfer so you can be ready and don’t miss a good exchange rate while you’re getting set up. You can also take this chance to look into handy IMT features like a limit order or forward contract to help secure the best exchange rate possible. When you’re ready to make the transfer, log into your account (assuming you’re doing the transfer online. If you’re doing it over the phone or in person, the customer service rep working with you will walk you through the process). You’ll then need to select the currency, transfer amount and recipient of the funds. Before you lock the transfer in, you should be given a quote for how much the transfer will cost you and how much foreign currency you’ll get. If you’re happy with it, go ahead and hit confirm. Firstly, you’ll have to transfer your money into your IMT account. From there, the provider will transfer it into your recipient’s account at the rate agreed on in the quote. And viola! Your international money transfer is complete. Ready to make your transfer? Check out our international money transfer hub to find the best rates and snag a great deal.